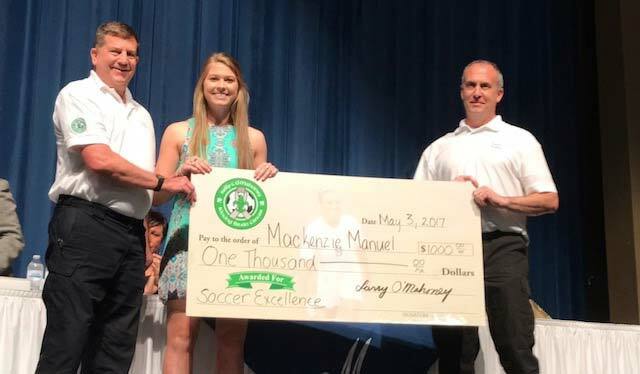 As part of Kelly’s legacy, we are offering a $1,000 scholarship to a female St. Tammany high school senior going on to play NCAA or NAIA sanctioned collegiate soccer who exemplifies Kelly’s ideals of teamwork, loyalty, and overcoming adversity. The scholarship will be presented at their high school awards banquet. All applications must be received on or before March 23, 2019. No exceptions. 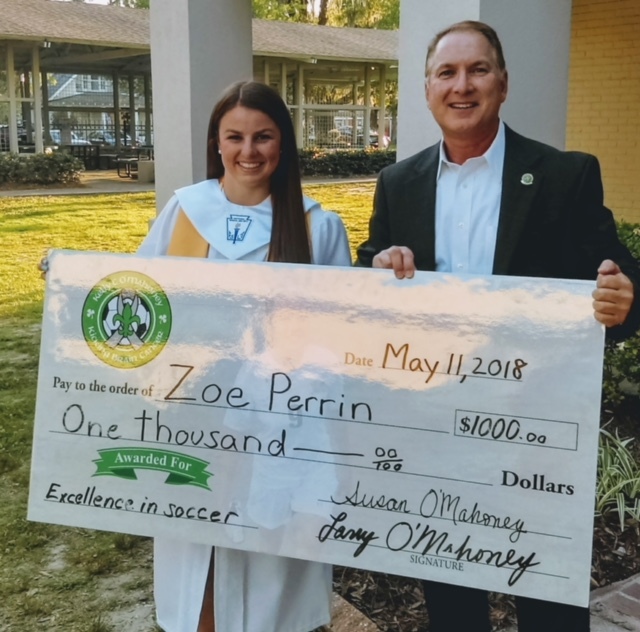 The 2018 Kelly C. O'Mahoney Soccer Scholarship is awarded to Zoe Perrin. Zoe will be attending and playing soccer at Samford University in Birmingham, Alabama. 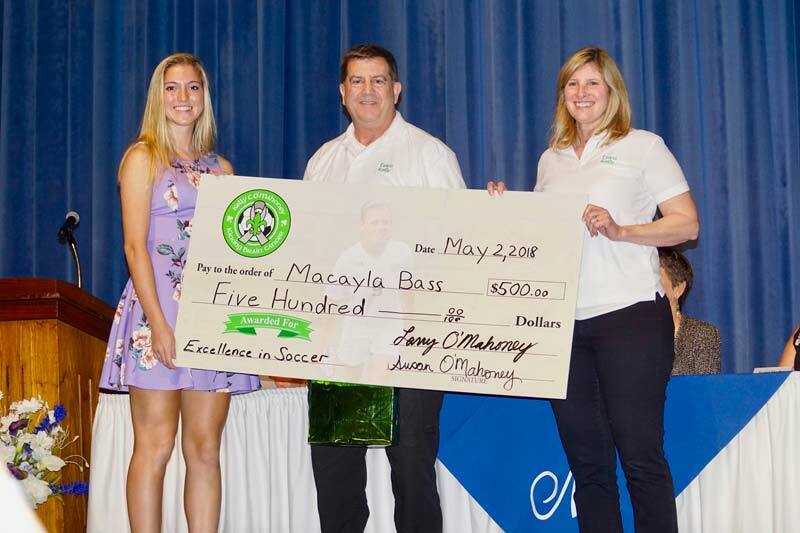 This year, an additional $500 Kelly C. O'Mahoney Soccer Scholarship was awarded to Macayla Bass. 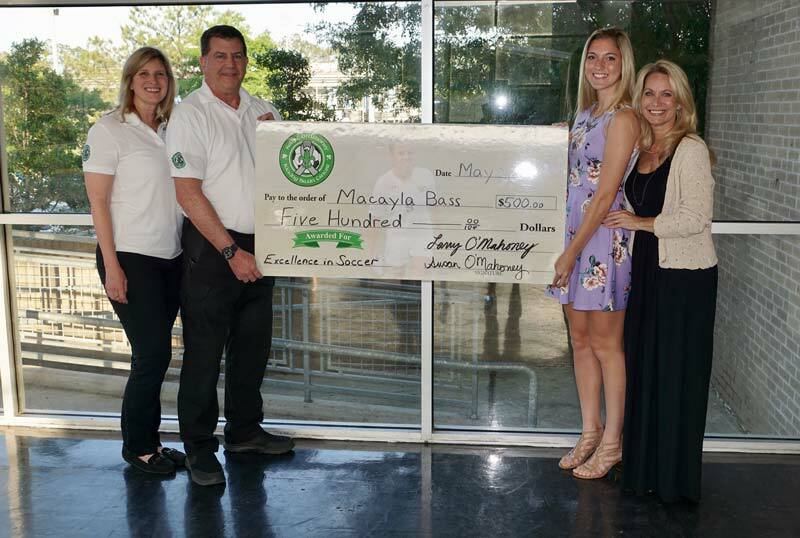 Macayla will be attending and playing soccer at McNeese State University in Lake Charles, Louisiana.